Coast Redwood High School is focused on student achievement and accountability, and parent involvement is integral to student success in our program. As part of our commitment to quality education, parents sign a charter document to acknowledge their responsibilities. Many parents are unaware that going "out-of-town" with their children during school is an unexcused absence, as are "family emergencies." In both cases, planning ahead can avoid unexcused absences. If you must go out-of-town, have your child do independent study through their supervising or classroom teacher. Set this up PRIOR to leaving the area. *No credit and no attendance will be issued for incomplete assignments if the student does not complete their assignments prior to their first day back from the initial out-of-town notification/contract. *Incomplete classroom assignments will result in a zero. Students and their families who travel may participate in the Earth Explorer Travel Program. Click HERE for your Earth Explorer contract and speak with your supervising teacher PRIOR to traveling. Every 15-20 days, you will submit to your Supervising Teacher the following materials for full attendance, credits and hours. 2. Student work samples (4+ from each academic area noted on the students' semester plan). Coast Redwood High School requires 4 work samples from each of the educational areas noted on your students' semester planning sheet each month to verify progress. *As always, discuss with your supervising teacher, if modifications to your students' semester plan and goals need to be made, while understanding, that your student must maintain adequate progress remains essential. We at SLVUSD Charter School, work very hard to ensure that your child receives the best home school education possible. We cannot do that if your child is; not in school - on time, attending assigned class sessions each day when he/she is healthy, or not engaging 4+ hours each day of the week, at home, completing their home school/independent study assignments. State law states that absences are excused only if the child is ill or there is a death in the immediate family. All other absences are unexcused. Also, if your child has 10 unexcused absences, he/she will be considered truant. Any tardy over 30 minutes, except for medical reasons, is also unexcused. If your child has three unexcused absences and/or tardies, he/she will be considered truant. Many parents are unaware that going "out-of-town" with their children during school is an unexcused absence, as are "family emergencies." In both cases, planning ahead can avoid unexcused absences. If you must go out-of-town, have your child do independent study through their supervising or classroom teacher. Failure to establish school attendance as a priority can result in a referral to the Santa Cruz County Office of Education School Attendance Review Board (SARB) and possible prosecution by the Santa Cruz County District Attorney's Office. Some parent think lying about illnesses will solve the problem. It is our district's policy that we require a doctor's note after three consecutive days of absence. Please consult with your supervising teacher or charter administration if you are planning an education trip for an extended period of time. Your child will be assigned school work for everyday while on a trip. Parents remain committed to turning in the attendance ledger on time, and students will be held to filling out their planner with detailed learning backed with samples of their learning (4+ work samples per subject). Please consult your supervising teacher if you have any questions. EC Section 48260 (a): Any pupil subject to compulsory full-time education or compulsory continuation education who is absent from school without a valid excuse three full days or tardy or absent more than any 30-minute period during the school day without a valid excuse on three occasions in one school year, or any combination thereof, is a truant and shall be reported to the attendance supervisor or the superintendent of the school district. 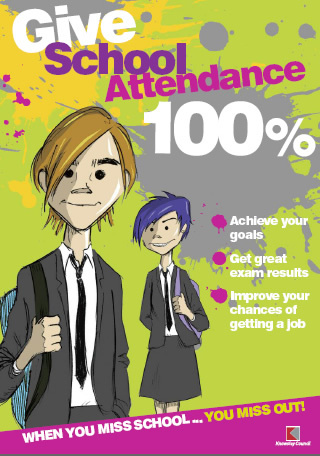 Any pupil is deemed an habitual truant who has been reported as a truant three or more times per school year, provided that no pupil shall be deemed an habitual truant unless an appropriate district officer or employee has made a conscientious effort to hold at least one conference with a parent or guardian of the pupil and the pupil himself, after the filing of either of the reports required by Section 48260 or Section 48261. When a student is a habitual truant, or is irregular in attendance at school, or is habitually insubordinate or disorderly during school, the student may be referred to a school attendance review board (SARB) or to the county probation department pursuant to EC Section 48263. The student may also be referred to a probation officer or district attorney mediation program pursuant to EC Section 48263.5. The intent of these laws is to provide intensive guidance to meet the special needs of students with school attendance problems or school behavior problems pursuant to EC Section 48320. These interventions are designed to divert students with serious attendance and behavioral problems from the juvenile justice system and to reduce the number of students who drop out of school.